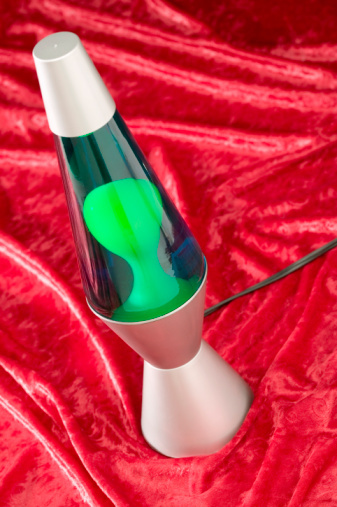 Lava lamps create a cool lighting effect, but a broken one makes a mess you must clean up. While the majority of the liquid inside the lamp is water, the heated "lava" substance is wax-based. Know what precautions to take and techniques to use to clean up a broken lava lamp, and then complete the task in little time. Broken lava lamps can make a mess. Unplug the lava lamp, if it is not already. Put on a pair of rubber cleaning gloves to protect your hands from the glass. Remove the glass pieces and dispose of them. Wait for the "lava" to cool and solidify, then dispose of it. Blot water with a rag. If the broken lava lamp spilled on carpet, spray the area with a carpet-cleaning solution and allow to penetrate for two minutes. Rinse the rag in water and squeeze out. Rub the area with the damp rag. Allow the area to air dry. Run a vacuum over the carpet to fluff it.